On Monday, October 15, 2018 Heather Harvey, MA, ATC and Chase Paulson, MS, ATC presented at the California Interscholastic Federation – Southern Section’s (CIF-SS) Athletic Administrator & AD Summit. Their topic of “Current Trends in Athletic Training” covered recent legislative updates from the passing of CA Assembly Bill 2009 (AEDs, EAPs, and interscholastic sports), as well as Emergency Action Planning when a school does not have a certified athletic trainer. Their presentation covered the necessary changes that schools will need to implement now that CA has mandated that schools offering interscholastic sports must have an AED ready and available for use, with a written emergency action plan posted in compliance with the National Federation of State High School Associations. 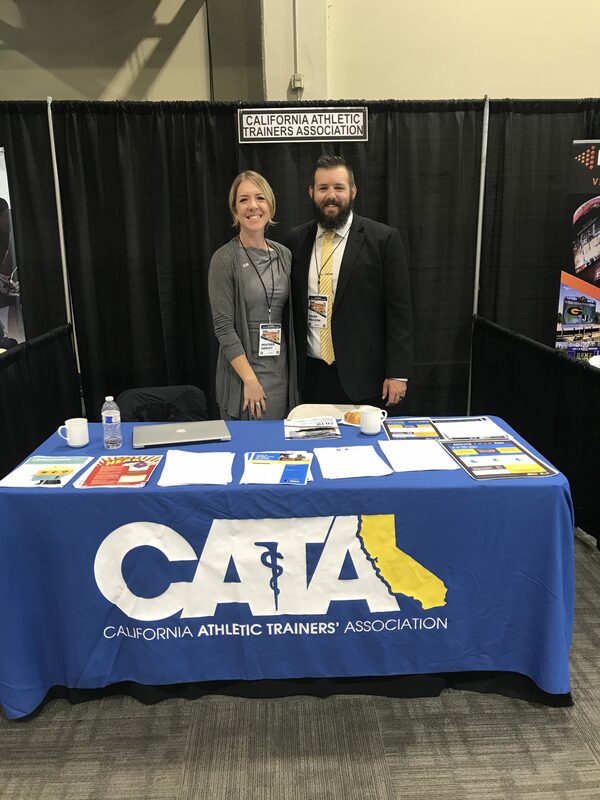 In addition to their presentation the pair represented the California Athletic Trainers’ Association in the exhibit hall with an informational booth.